Cedefindo has amassed years of strong relationships with renowned domestic and overseas cosmetic brands namely for the advancements of its manufacturing capabilities thus serving to the company’s advantage. In looking to increase its role in the global beauty industry, Cedefindo remains open to initiating joint ventures with established local and international companies. With a strong commitment to research and development, the company consistently works towards advancing upon its production processes to offer improved manufacturing services in addition to widening its network reach. As Cedefindo looks to move in-line with the modern trends in beauty and cosmetics, the company is poised to forge new partnerships as a means of remaining ahead of the competition. Having solidified its stance on broadening the scope of the company’s versatility while also striving towards lifting its international renown as a dependable cosmetics OEM manufacturer, Cedefindo is highly-interested in cooperating with companies eager to carry out investment opportunities in Indonesia’s beauty and cosmetics industry. In understanding the need for a wide-range of assistance to support the company’s upcoming growth strategy, Cedefindo is therefore interested in forging ties with prospective partners that have expertise in cutting-edge cosmetic manufacturing services as well as boasting strong knowledge on the lucrative global cosmetics industry. 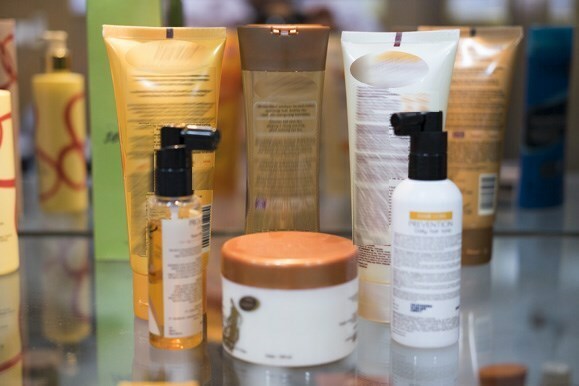 With an aim in becoming a fully-integrated 'one stop shop' cosmetics OEM manufacturer in Indonesia, Cedefindo is therefore looking to partake in investment opportunities that will enhance its current portfolio for products and services. Cedefindo’s ability to manufacture toiletries is representative of the company’s venture into products that are used in high volumes and made available at comparatively inexpensive prices. Diversifying their capabilities in terms of opening up to companies in the FMCG industry more likely to make large orders on a frequent basis due to high product turnover rates; Cedefindo extends their expertise in beauty and toiletries manufacturing services to produce shower cream, bath foam, liquid soap, shower gel, hand soap and hand sanitizer. As is the case with any product manufactured by the company, toiletries are produced in accordance with the key principle of using top-of-the-line ingredients to create premium goods that appeal to middle-up consumers. This quality assurance measure has therefore enabled Cedefindo to become a reliable toiletries manufacturing partner for globally-renowned companies. As a company that prioritises on research and development, Cedefindo recently made available mouthwash products as part of its toiletries manufacturing capability. Going forward, Cedefindo is set to invest in new machinery as a means of developing upon the company’s toiletries manufacturing services to better cater to the demands of its customers.